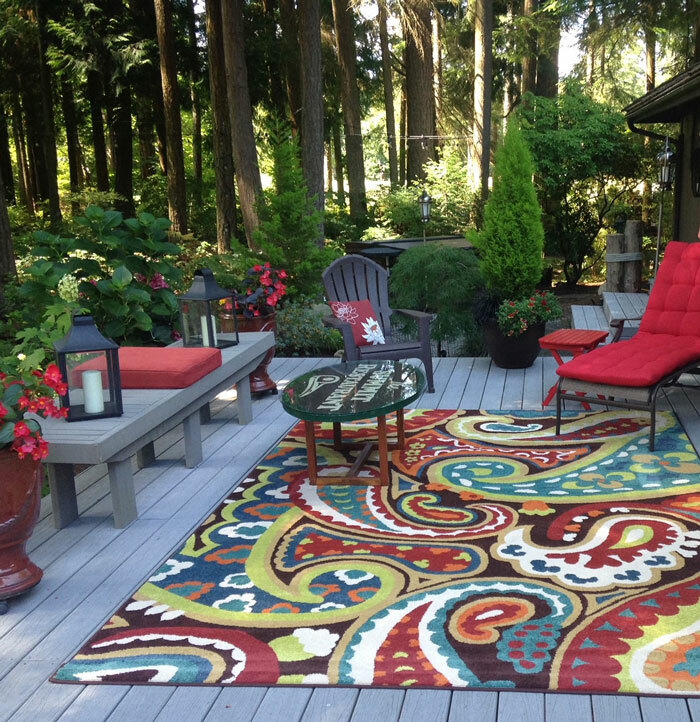 Bright colors and cheerful flowers bring joy to this deck in Fairway. Photo courtesy of Mill Creek Garden Club. By Lila Johnson, Mill Creek Garden Club, Publicity. Mill Creek Garden Club serves up a “two for one” outdoor event on Saturday, June 23, 2018. It’s their 4th annual Mill Creek Garden Tour with a twist—an Artisan Market in each of the Six Featured Gardens. Savor the outdoors as you stroll, sightsee and mingle in six remarkable gardens and while there, shop for handmade works of art. This year’s gardens run the gamut from a woodsy yard of just under an acre to a stunning deck garden, and everything in between. The artisans are as diverse and interesting as the gardens. Venture through our Town Center into River Crossing where you’ll see a gorgeous waterfall garden that’s a perfect festive party location and there you’ll see nature-impression pottery from Mpressions by Nature artist Martha Dankers. Hop back into your car or ride your bike to Cypress Division, get your camera ready—you cannot miss this over-flowing with flowers, award-winning, happy garden and Lynn Menne of Lynn’s Gift & Garden will be showing pre-planted containers and yes, plants! Perfect spot—flowers and flowers! Unheard of in Mill Creek, venture to Juniper’s “almost acre” garden in the woods; truly a walk worth taking with plenty of space for three artisans: Kathy and Keith Dalluge of K & K Wood Products showcase their birdhouses and yard art made of recycled wood; Paula Bashforth displays her colorful Fused-Glass Creations and also in the woods is Linda Gilmartin with her vibrant Glass Garden Art. It’s time to head on over to Evergreen, look for the beautiful, but purposeful river rock borders, rock streams and rock gardens which is a perfect setting for Blue Raven Glassworks artist, Sandi Staples and her exquisite mosaic art. Next up is the Fairway garden—it’s a deck garden overlooking the golf course, with containers of flowers, hanging baskets and a deck you could call home—and a wonderful setting to showcase Bayview Welding and Art’s, Tom Williams and his original metal sculptures. Just a bit east, the Scarborough neighborhood beckons with this plant-laden cottage garden that will have you taking notes; plus, it’s a delightful setting for Pam Kiefer, Step On This! with her unique stepping stones and wall art stones. Your ticket purchase and a percentage of the artisans’ sales goes to Mill Creek Garden Club’s Grant Program which this past 2017-18 year awarded a total of $4,700 back to the community. Tickets are available May 1 at these locations: Artisan Custom Framing, Li’l Sprout Nursery, McAuliffe’s Valley Nursery, Molbak’s, Snohomish Garden Center, Sky Nursery and Sunnyside Nursery. Tickets: in advance, $15 for all ages; $20 on Day of Tour. Get your tickets early! Follow the path to hundreds of types of plants and be prepared to ask questions of this Scarborough gardener. Photo courtesy of Mill Creek Garden Club.